Here’s how to roast chestnuts with an oven instead of an open fire. UPDATE: I’ve always cut an “X” into my chestnuts but recently tried out cutting with a line and it works just as well! 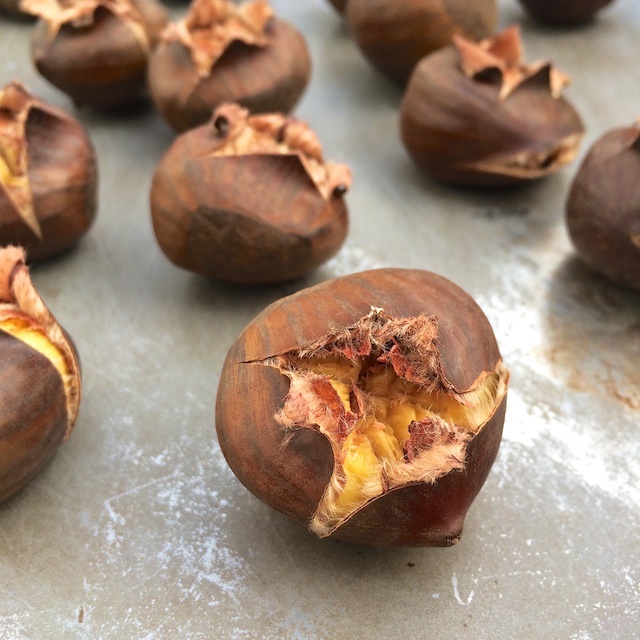 If your only exposure to chestnuts is via The Christmas Song (which has been on repeat in my head since working on this post), then you are in for treat. 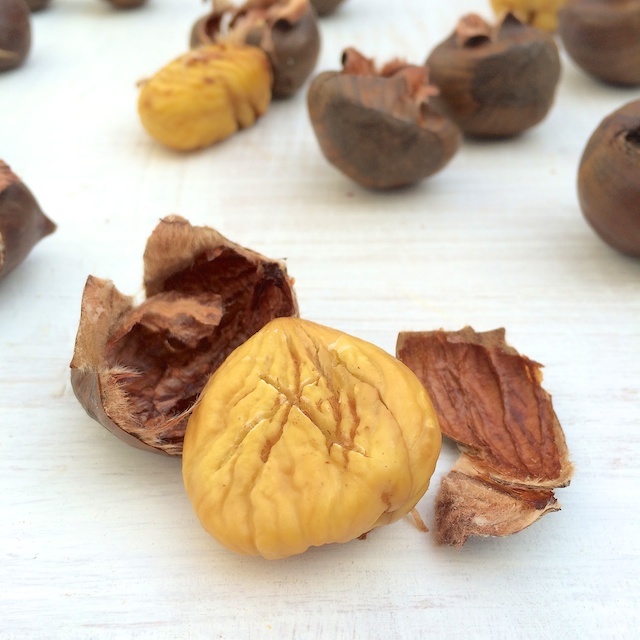 Chesnuts are native to North American, Europe, Japan and China. In Italy, chestnut flour is often used in baked goods, polenta and soups. You can also eat chestnuts raw, boiled or steamed. Chestnuts are lower in calories compared to other nuts as they have less fat – a handful (about 1.5 ounces) is around 100 calories and they provide many nutrients including fiber, Vitamin C, potassium, folate and magnesium. With a sharp paring knife, carefully cut an “X” or a long line into the round side of the chestnut halfway through the meat. Place chestnuts cut side up on a sheet with a lip. Roast for 15 -18 minutes or until skins start to peel away and chestnuts appear golden. Let cool for about 5 minutes and then peel. Note: chestnuts will still be fairly warm to the touch but you don’t want them to cool too much or peeling them will become more difficult. Use the chestnut meats in salads, rice dishes, baked goods, stuffings or soups. 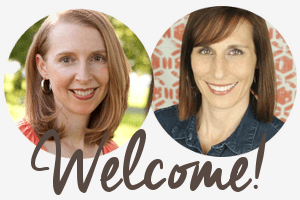 Roasted Chestnut, Cranberry and Mushroom Stuffing – Vicki @ Simple Cravings. Real Food. 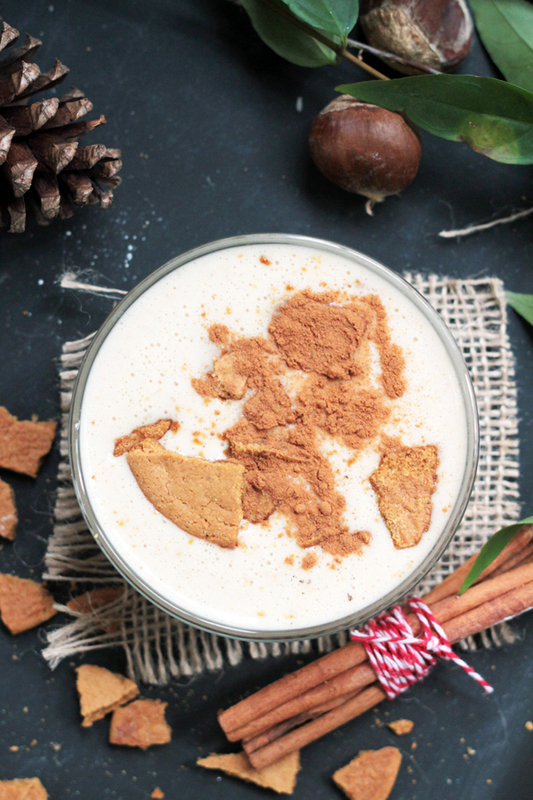 Have you ever eaten roasted chestnuts or have you ever used chestnuts recipes? This is so cool! Come to think of it I don’t think I’ve ever had a chestnut, it’s time to change that this holiday season I’m definitely adding it to my bucket list! 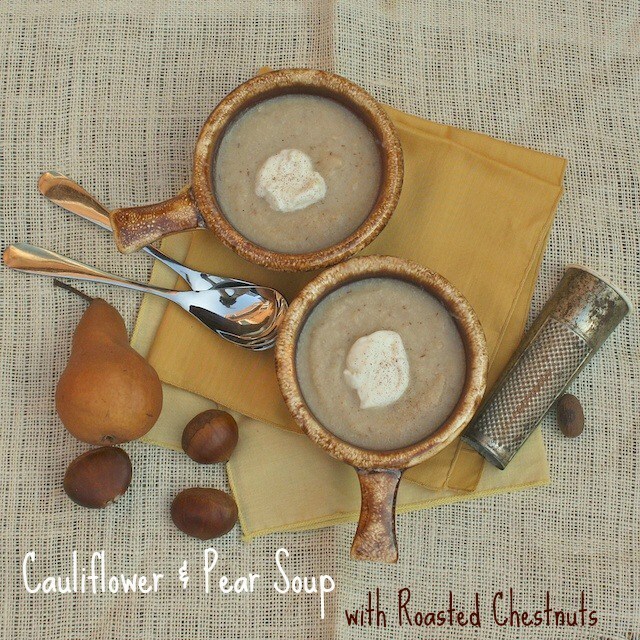 I just started cooking with chestnuts this year and I have to say, I’m a huge fan! I don’t think I have ever had a chestnut! I’m so impressed with all these recipes using them though! I must try! I absolutely ADORE chestnuts!! It conjures up memories from my childhood in Korea. Come Christmas time, it used to be (not sure if it still is) one of the most popular street foods. The vendors will have a huge roaster, and boy how I miss that glorious, comforting smell. Come to think of it, I really haven’t eaten chestnuts in the last several years. Thank you for the gentle nudge to go out and get me some! Thanks for including my recipe. It’s the first time I roasted chestnuts, but it won’t be the last. These recipes all look so good! Just watched your periscope on roasteing chestnuts, it was great! I had Roasted chestnuts years ago from a street vendor in NYC. Enjoyed them! I will be heading to Trader Joes to have pick so up later today! Thanks! Thanks for watching, Sally, and I hope they have them down there in Texas for you – you are in for a treat! Just tried this. Excellent results…chestnuts ready to put in stuffing. Yay – thanks for sharing! I totally ADORE chestnuts!! It invokes recollections from my youth in Korea. Come Christmas time, it used to be (not certain on the off chance that regardless it is) a standout amongst the most prevalent road sustenances. The sellers will have an enormous roaster, and kid how I miss that great, soothing smell. Then again, I truly haven’t eaten chestnuts over the most recent quite a long while. Much obliged to you for the delicate push to go out and get me a few!